Latest RuneScape Mining and Smithing Beta is open for all members until 27 November 2018. 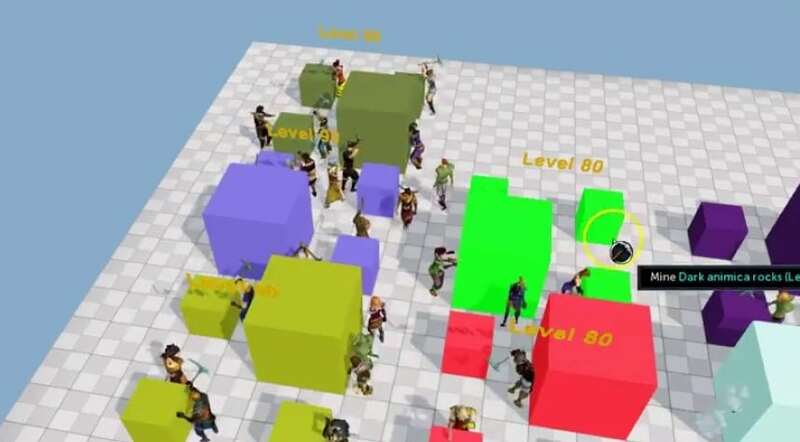 It is a full RuneScape beta, meaning players can access all content with no area restrictions and try out all of the new mechanics the team has been working on. Players could join the beta simply by connecting from their RuneScape account. On entering one of the beta worlds, players are placed in front of twelve shops that provide them with the content as if they were in a sandbox world. RuneScape Mining rework includes many new features. For example, there are some new ores available to mine – luminite, drakolith, necrite, phasmatite, bane, dark animica, light animica, living rock, and elder runite ore. Ores don’t deplete anymore, making mining more similar to the current Seren stones. Ore gathering is now independent from experience and uses a progression mechanic instead. New mechanics such as Rockertunities and Stamina now heavily reward the player to be active while mining. Upon mining, a nearby ore of the same type will start to glow. Upon clicking it rewards the player with 5x the xp for that swing and additional progress. Another new feature is the ore bag. It is similar to the coal or gem bags. This new RuneScape item is to replace the coal bag once released. The ore bag holds ores inside of it. Ore rocks also don’t deplete anymore, instead they now work with Hardness and Difficulty. Each rock has an xp multiplier. This value is multiplied with the progress made per swing to determine the XP drop. Last but not least, instead of giving a mining bonus pickaxes now have two new stats: Mining progress and Rock penetration. RuneScape Smithing rework includes many new features too. For example, the furnace now contains a hopper. This allows the players to place unlimited amounts of ore inside, which allows them to be smelted in rapid succession. Smithing ingot into armour, weapon or tools is also approached differently. Players choose which item to smith at a forge and are then given an in-progress smithing object. This is then heated at the forge, filling up a bar above players head. It represents the heat the item has. The higher the object heat, the faster its smithing is. Another new feature is that items above bronze can now be upgraded to become stronger. But each item can be upgraded a certain amount of times, depending on the tier of its metal. Smithing XP of any item is determined by the total of bars used for that particulat item. As one of the most requested updates for the RuneScape 3 game for some time, Mining and Smithing update is ahead of the full rollout in the near future. This entry was posted in How-To Tips & Tricks, Latest OSRS News, OSRS Mobile App, RuneScape 3 and tagged buy runescape gold, runescape 3, sell runescape gold. Bookmark the permalink.